The year is 1888. A vicious criminal lurks in the shadows. He intends to commit nefarious crimes. It’s a battle of wits that played out in the streets of London, but the crafty fiend never expected you to unravel his villainous scheme! That’s right! Now, you and a friend can replay the scenario with the Mr. Jack Board game. The game comes with a rulebook, a variety of pawns and card required to play the game and a board. You and one friend can play this two-player game. One player will take on the role of the investigation team and the other player takes on the role of dastardly Jack the Ripper. 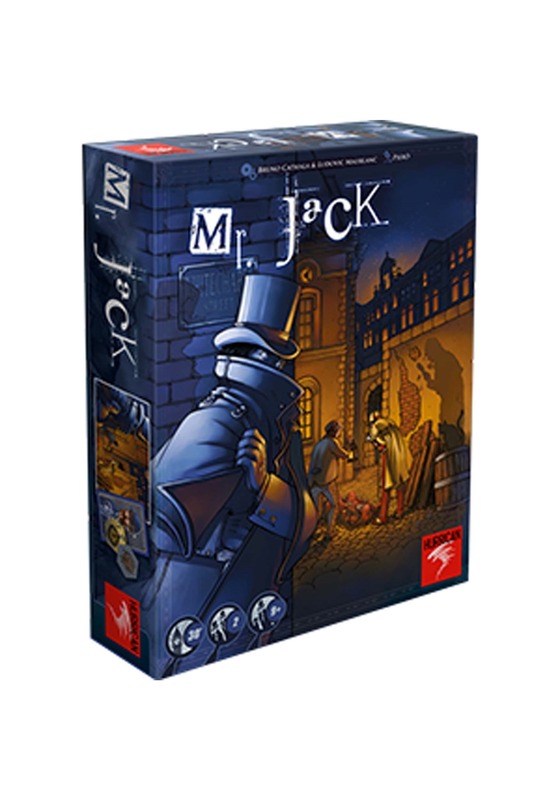 The investigator player must uncover clues to stop Mr. Jack from getting away with his crimes, while the player that plays as Jack must attempt to outsmart his opponent to get away scot-free. Each player must use strategy and attempt to get inside the head of their opponent to win! When you play this Mr. Jack board game, perhaps you can change the outcome of the historical crimes. Or perhaps, Jack will get away once again. Either way, it’s great strategy game for 2 players that will have both players wracking their brains to a path to victory!